The Middle Ages lasted from the 5th to the 15th century and are generally seen as a period marked by obscurity during which many great civilizations started to collapse. 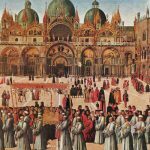 But as most of Europe was constantly being ravaged by conflict, plagues, and famine, this was also a time when art and literature began to flourish again in certain parts of the continent, including the present-day Italy. My Family Pies- Coming From Italy? 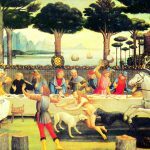 The High and Late Middle Ages, in particular, saw the rise of many famous Italian authors whose great works of literature became well-known by the end of the 14th century. 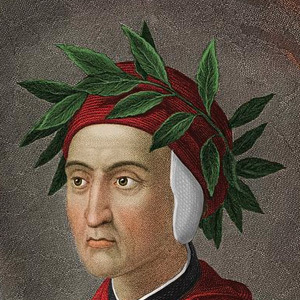 Dante Alghieri is quite possibly the most famous Italian poet not only of the Middle Ages but of all times. His most well-known work is undoubtedly the Divine Comedy, a long narrative poem still considered as an absolute masterpiece to this day. Not only is the Divine Comedy the most important poem of the period, but it also played a very important role in bringing together the many different Italian dialects of the time into one unified literary language. Italian as we know it today would likely have been a lot different if not for Dante and his Divine Comedy. 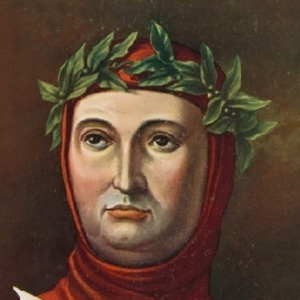 More commonly known as Petrarch, Francesco Petrarca was one of the first humanists and a well-known scholar of the Early Renaissance period. In addition, Petrarch was also a very talented poet who wrote many famous poems both in Italian and Latin. Given his reputation as a renowned scholar, it’s not surprising that Petrarch seemed to prefer Latin, however, it was his Italian poetry that ended up lasting throughout the ages. His best Italian poems were eventually gathered into a collection known as Il Canzoniere. This very impressive volume contains no less than 366 poems, most of which were written in sonnet form. 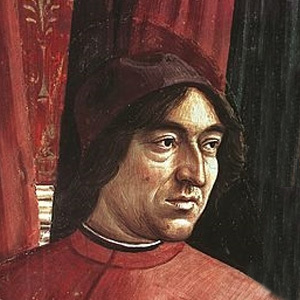 Similar to his good friend Petrarch, Giovanni Boccaccio was also a notable humanist of the Early Renaissance as well as a talented writer and poet. Unlike his contemporaries, however, Boccaccio wrote less in Latin and preferred vernacular Italian. His most famous work is likely The Decameron, a collection of different novellas that when combined forms one continuous story. The various tales appear as told by members of a group of ten people who are taking shelter outside of Florence in order to escape The Black Death. Interestingly, The Decameron itself was written during the time of the real-life Black Plague epidemic that swept across Europe during the mid-14th century. 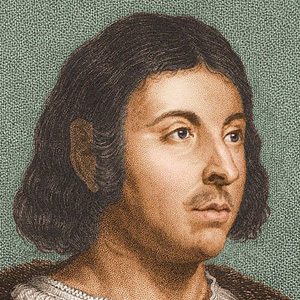 Angelo Ambrogini, best known as Poliziano or Politian, played an important role in establishing Renaissance Latin, an evolution of Medieval Latin that later became New Latin. Poliziano was a renowned classical scholar even during his time and later became even more famous thanks to his poetry. He had a particular fondness for Greek and Latin literature but also had a few important works in Italian. His most well-known works include Manto (Latin) and La Giostra (Italian). In addition to poetry, Poliziano also wrote a number of philosophical works primarily meant as introductions to Aristotelian logic and philosophy. Literature was a very important part of Medieval Italy, and themany works written during this time paved the way for the Renaissance period. 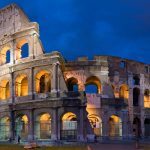 In addition to literature, architecture, art, and music also began to flourish during this time in Italy. 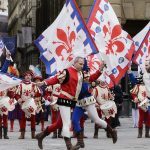 If you want to learn more about some of the most important musicians of Medieval Italy make sure to check out this article. Hi there! 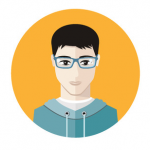 I’m a social guy from Britain who likes three main things; art, history and travel. In June 2010 I decided to follow my passions and my first destination was France. In December of the same year I managed to travel to Italy and for some reason I never got enough of it. Notational and theoretical music has its origin in Italy after which it spread over to the whole world. The Florence Cathedral – Duomo took approximately 140 years in order for it to be completed. Women’s dresses went through many alterations throughout the 14th and 15th centuries. Pompeii was a famous Roman city but got buried for almost 1,700 years after the eruption of Mt. Vesuvius. 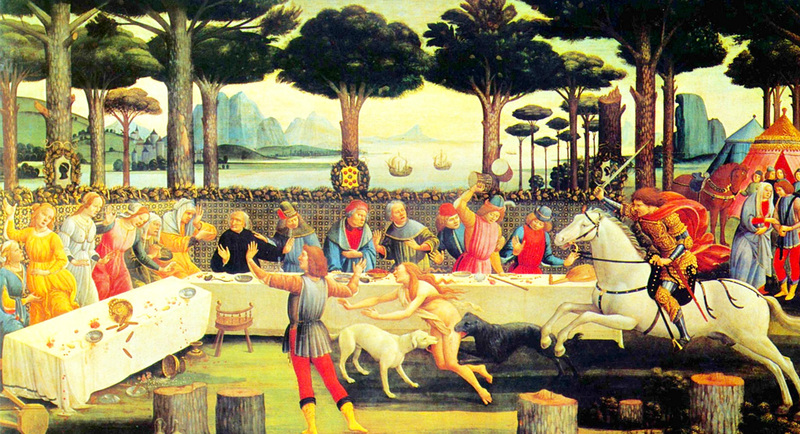 Men in Italy wore short over dresses from the 14th and into the 15th centuries. Dried pasta was brought to Italy in the 13th century by Arabs.